The last few years have been tough for Facebook marketers. Organic reach has dropped, younger users gravitated toward newer platforms like Instagram and Snapchat and there’s more competition than ever. Despite all of this, we’re here to tell you that Facebook is far from dead. In order to get more out of Facebook, you have to go beyond publishing a handful of posts per day. It just isn’t as effective anymore. Now you have to dive into other features like Facebook ads to comply with their algorithm, but what about Facebook events? Facebook events are the perfect way to get users’ attention and keep it. With Facebook’s calendar connection, most people have their Facebook events connected to their smartphones. This means you can keep your audience in the know without doing much leg work. But it’s not just about creating great Facebook events. You have to know how to plan, coordinate and spread awareness of your brand through this tool. Don’t write off Facebook, but instead, use it in a way that will benefit you and your customers. 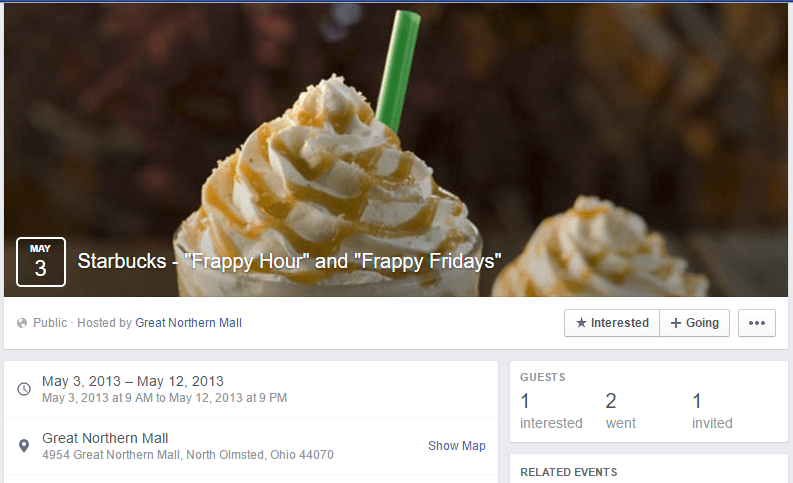 First and foremost, your Facebook event should have an official name. If you’re having a happy hour, don’t just use the title “Happy Hour.” Come up with a fun and attention grabbing name like Frappy Hour at Starbucks. Not only does naming your event help it stand out, but it also makes it easier for people to remember and talk about with their friends. Your description is where you’ll give important details for your event such as pricing, special guests and the schedule. You can also include compelling copywriting to boost the attendance. Another great way to use the description is to add special information about the location. For instance, if the event is in a certain part of a larger venue, you can list that in the description so people know where to go once they arrive. When you’re creating Facebook Events, you can put an exact location for where it will take place. You have the option of entering an address, or you can enter the name of a venue on Facebook. Start typing the name of the venue, and Facebook will autocomplete it with suggestions. When people hover over the name of the location, the page will pop up. You can reach out to the venue and see if there’s an opportunity for them to promote the event as well since you’re highlighting their business. Facebook Event photos should compel people to want to find out more. That means your photos should be eye-catching and relevant. If you’re hosting a party to celebrate your company’s 10th anniversary, you’d probably want your photo to be festive and incorporate the 10 years somehow. The purpose of your event should be clear from the photo. 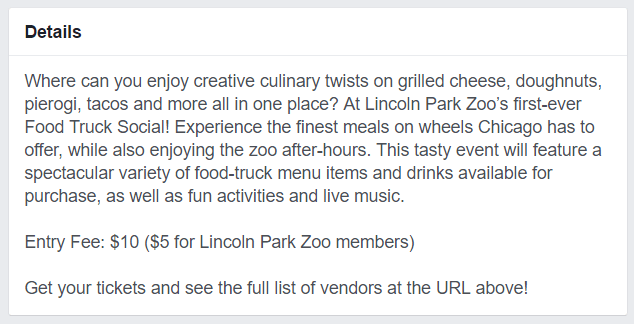 Another common issue brands run into with Facebook Events is trying to figure out what size photo to use. Since your event photo can be displayed in multiple places such as the News Feed and upcoming events section, you need an image that will look great when it’s resized. Facebook recommends using the dimensions 1920 X 1080 pixel image or a 16:9 aspect ratio. More likely than not, you’re going to share this event across other networks as well. That’s why it’s important to use a tool like Landscape. 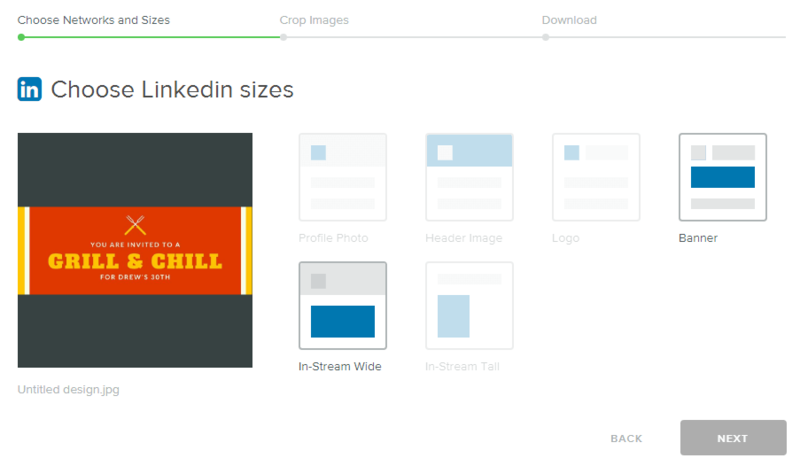 With this free tool you can easily resize, crop and adjust images to all major social media platforms. All you have to do is upload the image and choose which networks and styles you want for the same image. 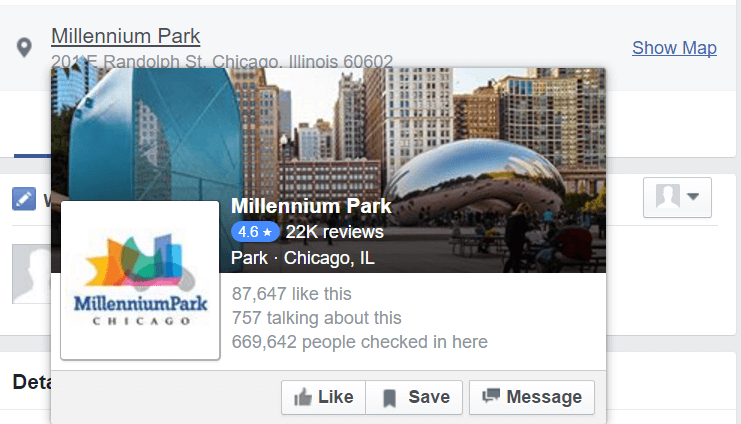 Adding tags allows Facebook to recommend your event to users based on their interests, so fill out as many as possible. When you’re creating a public event, you have the option to only allow hosts to post on the event’s wall. In most cases, you should leave this unchecked. The more active the event looks, the more excited people are going to be about it. It’s difficult to spark conversation when people aren’t allowed to post on the event page. Making the wall public also allows you to answer questions. Since the posts are public, the event wall serves as a FAQ section for other people that have questions. Be active. Whether it’s a question or general comment, reply to each post. Invite your co-hosts to answer questions as well to create a sense of community. Twitter isn’t the only social network that lets you pin content to your feed. 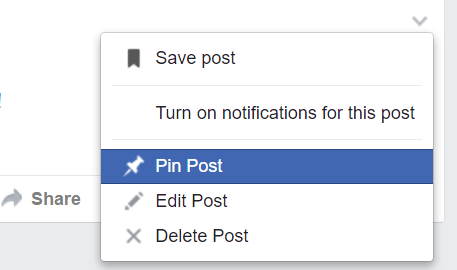 You can pin posts to the top of your Facebook Events wall, so it gets priority over everything else. You can use your pinned post to display updates for the event, start a countdown or list other important information. This tip will help people plan ahead, and also keep you organized. A start date and time is required for Facebook Events, but setting an end time is optional. As a result, it’s easy for brands to overlook it. Setting an end time is particularly important if your event will span multiple days. If you only set the date the event starts, Facebook will automatically set your event to end three hours after the starting time. Getting people to find out about your event can be a struggle. Most brands start with their inner circle and hope those people share with their networks and so forth. Instead of playing the waiting game, get proactive by running Facebook Ads to promote your event. You can boost your events just like you would with a post. Boosting an event allows you to promote it to people who may be interested in attending, but aren’t aware of your brand. The extra reach can earn you more attendees and also build your Facebook following. Doing events with brands that have an established Facebook presence is a great way to grow your own following. Look for authorities and influencers and start planning an event that you can partner up on. Then add them as a co-host when it’s time to create the Facebook event. Like we said before, you’re going to want to spread the love across multiple social networks. So why limit your promotional efforts to Facebook? Spread the word about your event across all of your social media channels, your website and even offline. Your Facebook Events page will serve as the information hub where people can learn more and get specifics. When you’re promoting your event on your other social media platforms, use a service like Bit.ly to track where your traffic is coming from. Schedule Tweets to be sent out leading up to the event. Link to your Facebook Events page. Add a link to your Facebook Events page in your Instagram profile, and post pictures to promote it. Create a Snapchat Story to promote the event. Make a Pinterest board for the event. Record a promo video and publish it on YouTube and other video sites. To keep consistent branding, upload your event photo to Landscape and resize it to publish on Twitter, LinkedIn and other social networks. Not everyone can have success with spontaneous events like Beyonce. 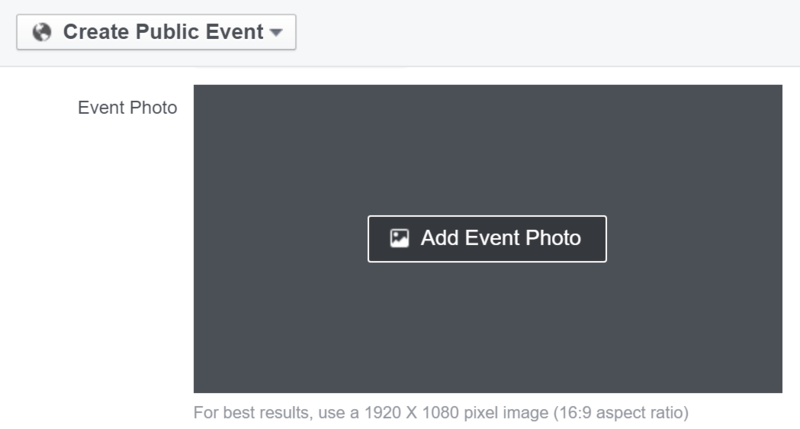 The earlier you can get your event on your Facebook Events page, the better. Not only will it give you more time to promote, but your followers will be able to look at what you have coming up and plan accordingly. Large venues such as stadiums and amphitheaters often list events months in advance. In order to get people extremely excited for your event, create a sense of urgency. People will be much quicker to attend or accept your invitation if they feel like they’ll miss out if they wait. You can create a sense of urgency by limiting the amount of available tickets, setting a RSVP date or offering an early bird special. 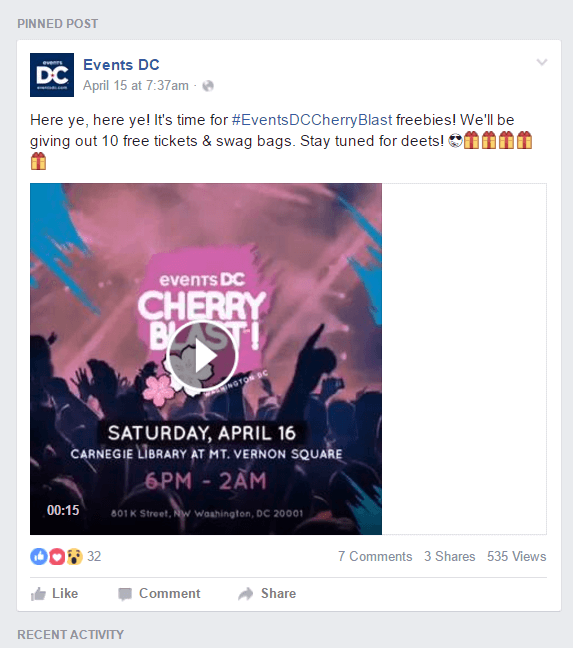 Are You Using Facebook Events Yet? The next time your company has a celebration or event, head to Facebook Events to promote it. At the same time, you want to use a Facebook management tool to track engagement with each of your events. Use the tactics above to get set up and promote it like a pro!